The Algarveans Experimental Theatre Group is celebrating 25 years with a very special production: Pollen - The Musical. 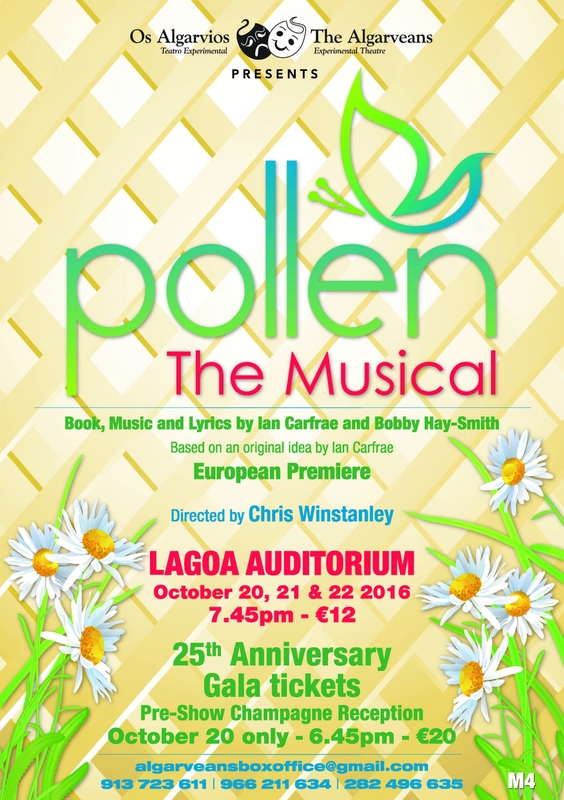 Written by Algarveans’ member, and professional musician, Ian Carfrae of the New Vaudeville Band fame, Pollen is set in an enchanted garden and promises a great night of enchanting theatre at the superb Lagoa Auditorium! The show will run for three nights, opening on 20th October with a 25th Anniversary Gala with a pre-show champagne reception. More information and tickets are available by email: algarveansboxoffice@gmail.com or by calling any of the following telephone numbers 913 723 611 / 282 496 635 / 966 211 634.